Why Barca Should go with a 3 Men Defense against Chelsea? 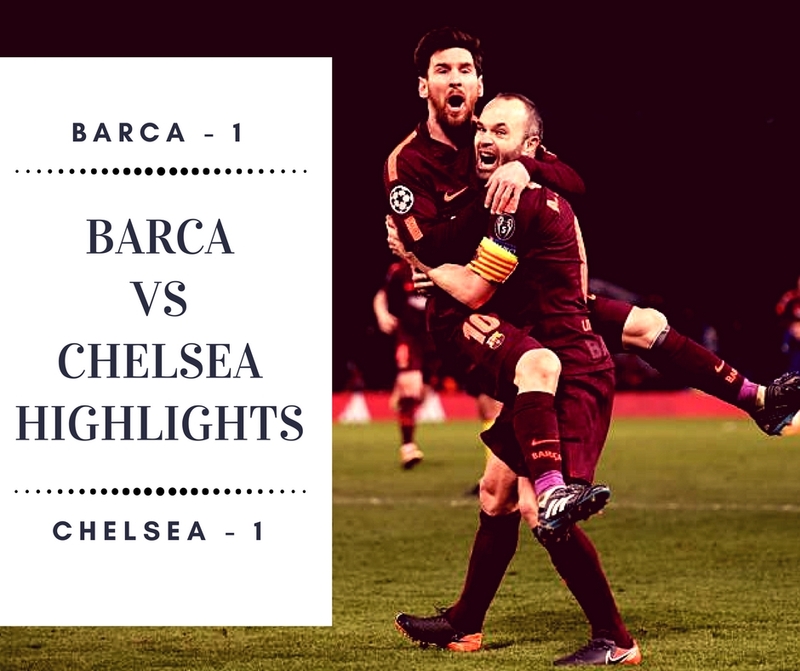 Despite scoring the vital away goal, Barca's performance against Chelsea was a subdued one. 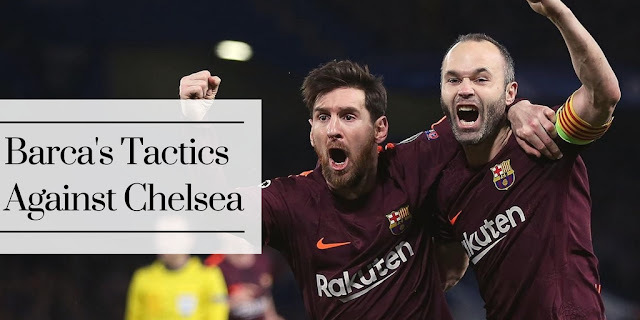 Chelsea for mostly part was able to negate FC Barcelona with a solid formation and defense. 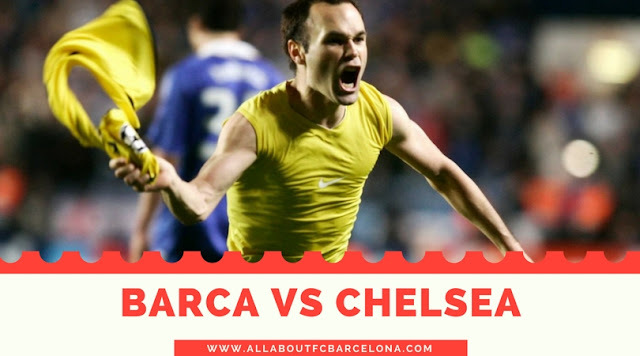 In 20 day time, FC Barcelona will be facing Chelsea in the second Leg of Champions League knockout tie at the Camp Nou. Barca hold a definitive advantage after scoring the vital away goal in the draw at Stamford Bridge. But banking on that alone would be recipe for disaster, as Chelsea have proven time and time again that they can score goals at the Camp Nou. In a way Chelsea's usual playing style is the one we usually despise and is the one usually make us pretty uncomfortable. 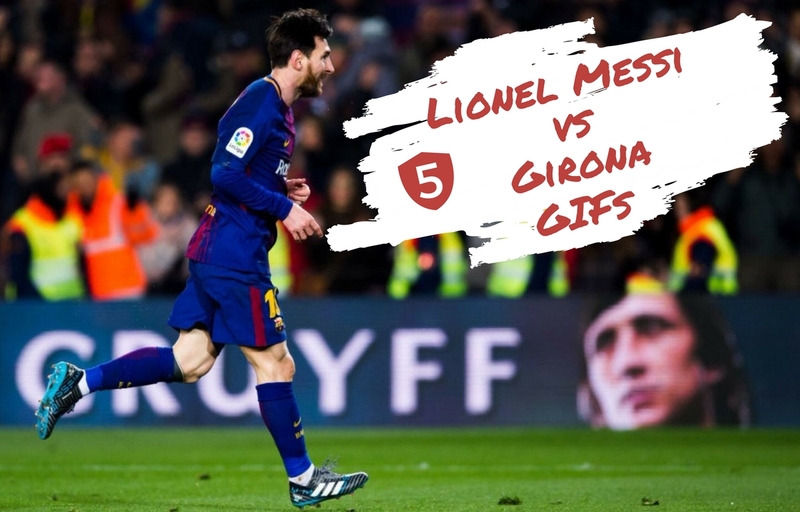 Lionel Messi GIFs from FC Barcelona's 6-1 victory over Girona. He was instrumental with some of the best plays we have seen so far in 2018. FC Barcelona produced a splendid display of attacking football to destroy Girona at home. Girona scored first but then ended getting six in return with Saurez scoring three, Messi a splendid brace and Coutinho scoring one. First leg of Barca vs Chelsea Champiosn league 2017-18 Knowckout Stage match ended in a 1-1 draw. Willian and Lionel Messi both scored for their respective teams with honours even and Barca with a definitive edge of having scored a vital away goal. 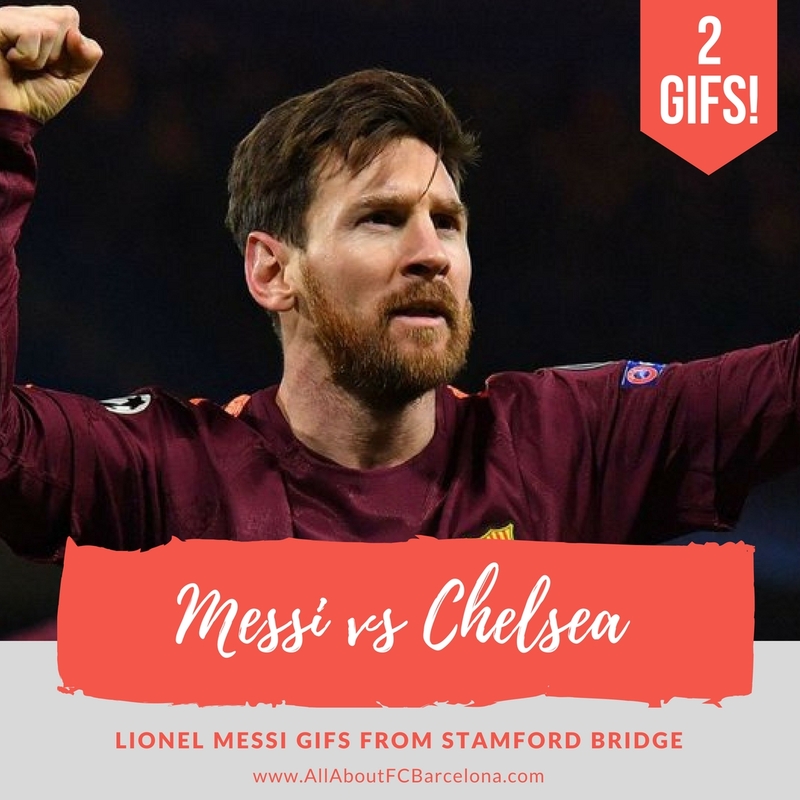 Barcelona Football Club would be happy to secure a vital away goal at the Stamford Bridge in the 1st Leg of the UEFA Champions League tie against Chelsea. 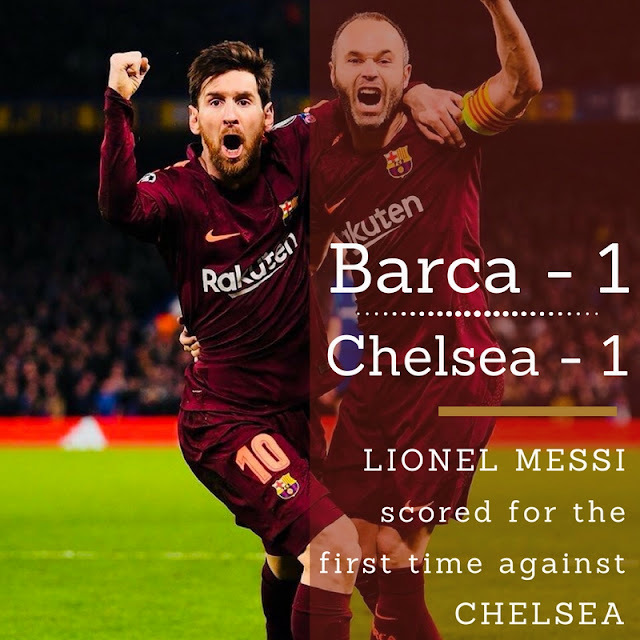 Lionel Messi scored the equalizer for Barca, which was his first goal against Chelsea in nine outings. This season has been so far pretty good for Lionel Messi. He has been ticking away some of his unchecked items from his list since the start of the season. The best match of Barca so far this season has been the victory against Juventus. Messi never scored against Buffon in his career and he ticked away that. To the build up of last night's encounter against Chelsea, a lot of people were asking the sensational question 'Will Messi Score against Chelsea?' Some times it gets to the point of being absolutely ridiculous, where some people and pundits will hold it against him every time he puts in a good performance. 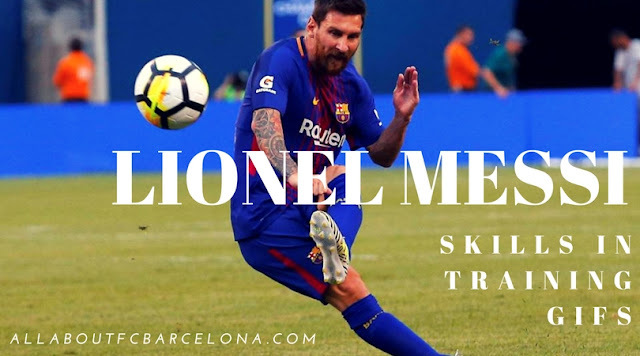 So finally he got that box also ticked out; he scored the very important away goal which equalized the scoreline for Barca and also made good of not so efficient performance. FC Barcelona will be looking for a solid result in the first leg of UEFA Champions League Knock-out stage at Stamford Bridge. Barcelona Football Club will be back to a stadium where it all started, the 'Golden Run'. Stamford Bridge has been a special place for Barca interms of triumph and controversy surrounding those victories. The current Golden run started at Stamford Bridge under Pep Guardiola with the 'Iniesta Golazzo'. Before that we were meeting Chelsea regularly from the Rijkaards era and each one of them ended with some controversy on its own. So this fixture have quite a history in recent Champions League years and there won't be any doubt that this coming encounter also will have its share of excitement. GIF animation of Iniesta's Golazo which took Barca past Chelsea in 2009 Champions League tie. Brilliant to watch this especially when we have witnessed last night a similar sensational strike from Lionel Messi. 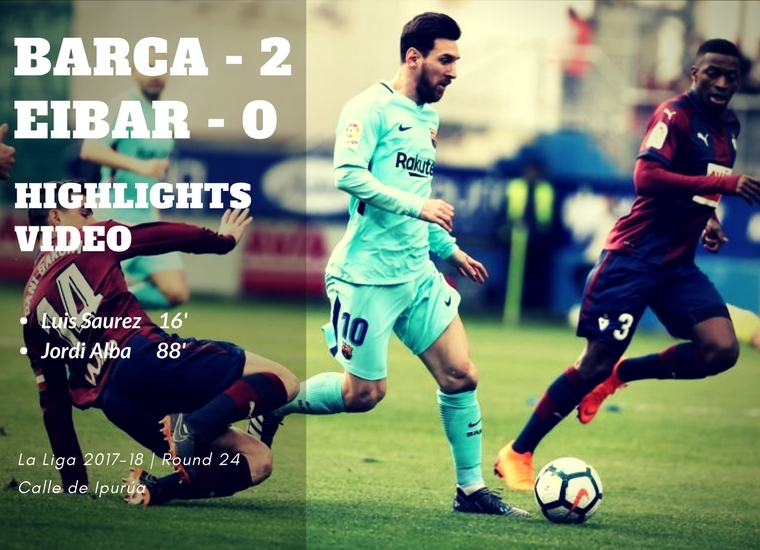 FC Barcelona secured a very hard fought victory against Eibar last night which could prove very essential in their run to regain their La Liga Title. Luis Saurez and Jordi Alba scored in each half to secure the victory. 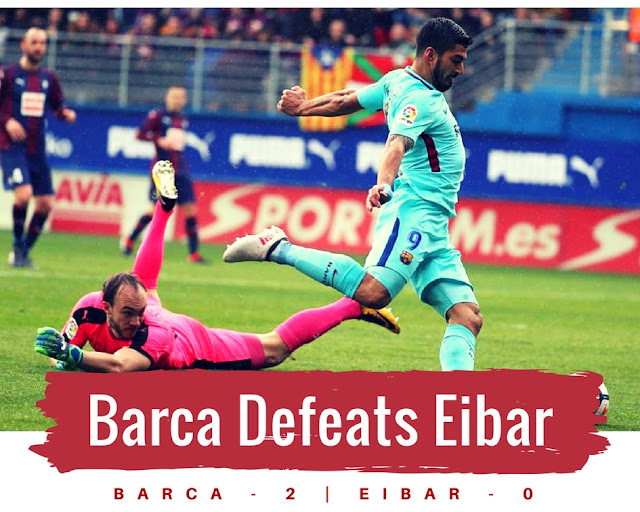 FC Barcelona return to winning ways after two consecutive draws with a tough fought victory against Eibar. Goals from Luis Saurez and Jordi Alba secured the victory. Barcelona Futbol Club was made to suffer in their 2-0 victory against Eibar away from Home. If you have to describe this victory, there is only one word which describes the same "EFFICIENT"! There is nothing else other than that. For majority of the game we were outplayed in our own game. The wet pitch and it's narrow width completely negated us; but the major factors were the Eibar players and their attitude to the game. They actually played without no fear and that showed on the field. 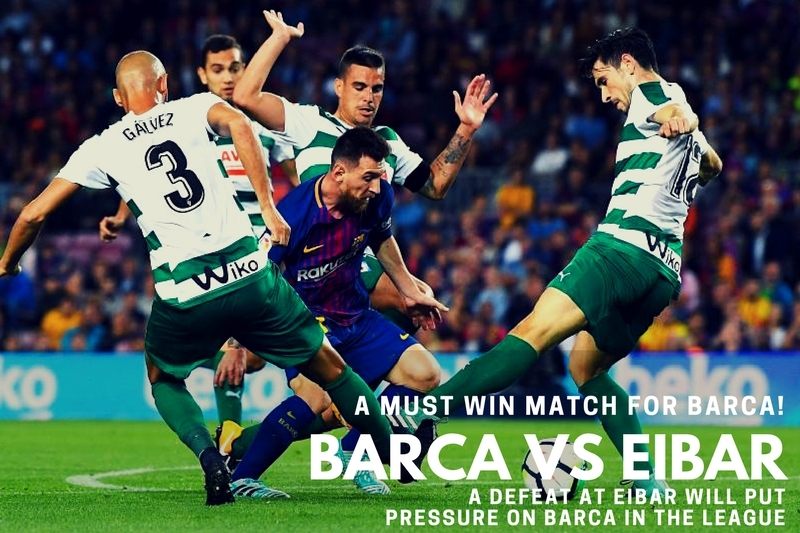 Barca vs Eibar Preview | A Match which is more Important than Everyone Thinks! FC Barcelona will be facing Eibar in the 24th round of La Liga 2017-18 season. Despite the importance of this away match, all focus and attention will be on the mid week Champions League encounter! After a good start to 2018 season; suddenly the Barca juggernaut seems like have lost a bit of steam. Two draws in a row and if we club the difficult result against Alaves; that's three poor performances in recent times. 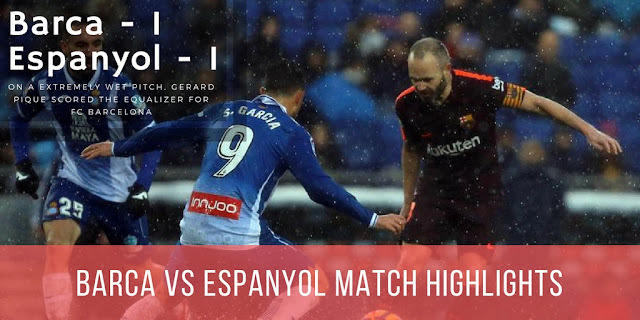 The Espanyol result could be excused even though as I wrote that day, the result would have been different had we taken the initiative in first half. 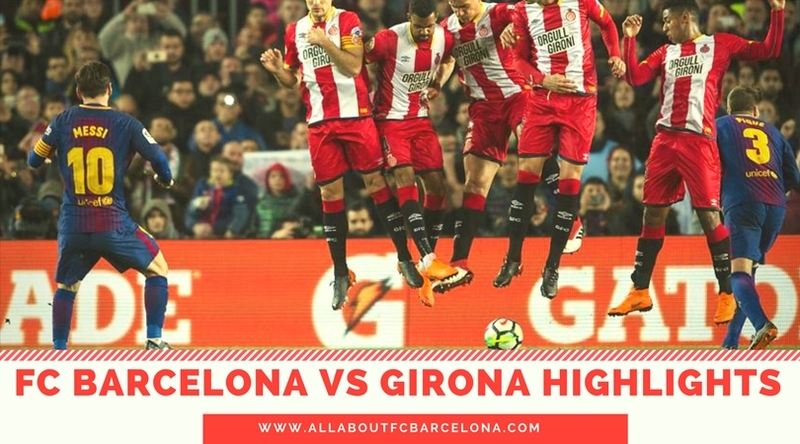 Suddenly the match against Eibar has taken a bigger magnitude than what we would have imagined at the start of the year. A bad result would seriously jeopardize the momentum we had in the League and also may spill into the mid week Champions League Encounter. 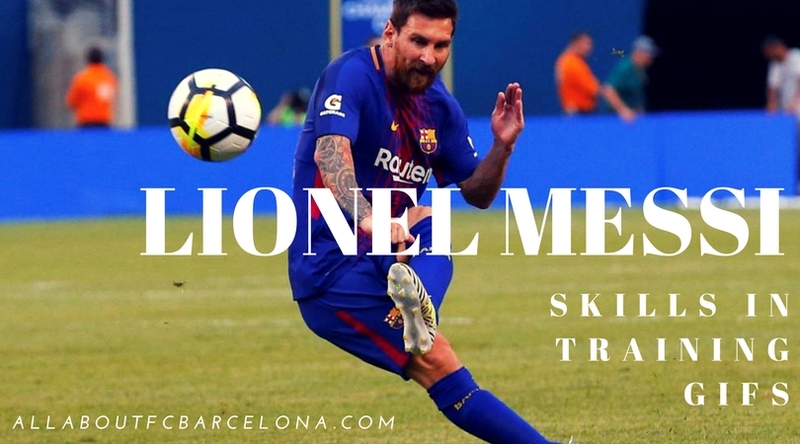 GIF compilations of Lionel Messi's skill in training FC Barcelona training session. He is not only a headache for opponents but also for his own team mates doing these kind of skills. Never seen Ter Stegan looking so helpless. he will be thanking that he plays in the same side! 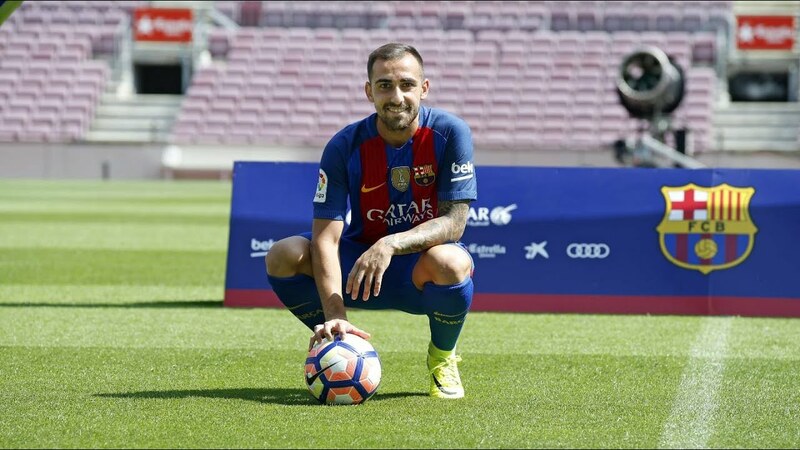 Signed back in 2016 from yo-yoing Valencia, Paco Alcacer looked set to be the next home grown player who’d work his way into the starting line-up at Barcelona. Luis Enrique was in charge when he signed for the club, with it trending in the traditional ideology of only bringing certain styles of players from a select few nations, with Spain obviously being the primary option, but the transfer of this forward always looked like an arguably pointless one. FC Barcelona was held onto their first goalless draw of the La Liga 2017-18 La Liga season by Getafe at the Camp Nou. A defensively organised Getafe side proved too much for Barcelona players to breakdown despite the attcking powers they posess. In the end this draw sees Barca's lead at top cut from nine to seven. 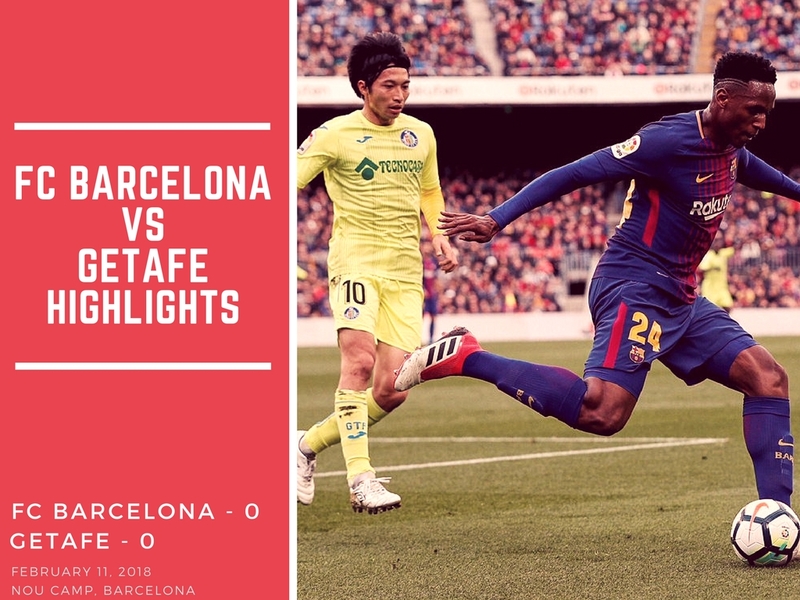 FC Barcelona was held to a goalless draw by Getafe at the Camp Nou in a very frustrating evening. 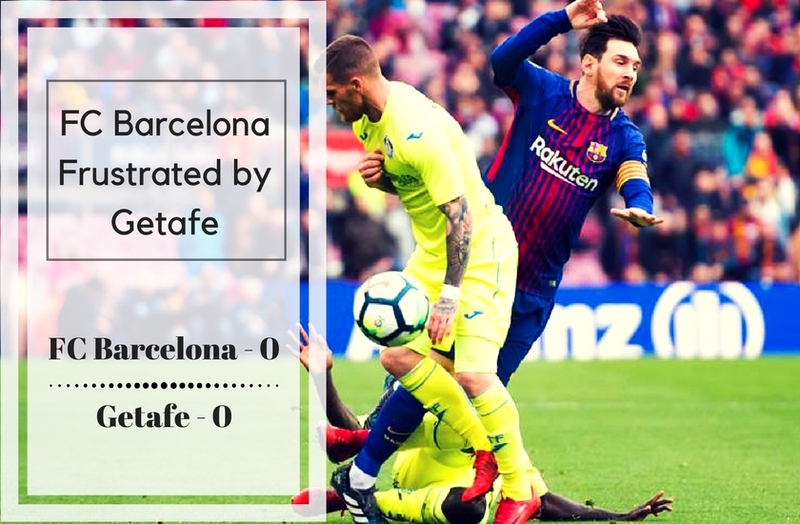 Barcelona Futbol Club was made to suffer for a second consecutive match in La Liga with a very frustrating encounter against Getafe at Camp Nou. In my preview to Copa Del Rey Semi-Final 2nd Leg, I have mentioned how opponents have failed to stop us from scoring in the league. I never expected we will lose it so soon. With the second draw in a row, Barca's lead on top have come down to seven points; it's still sizable but when you consider that the lead has come down from eleven to seven in a span of a week, something starts to worry me a lot! 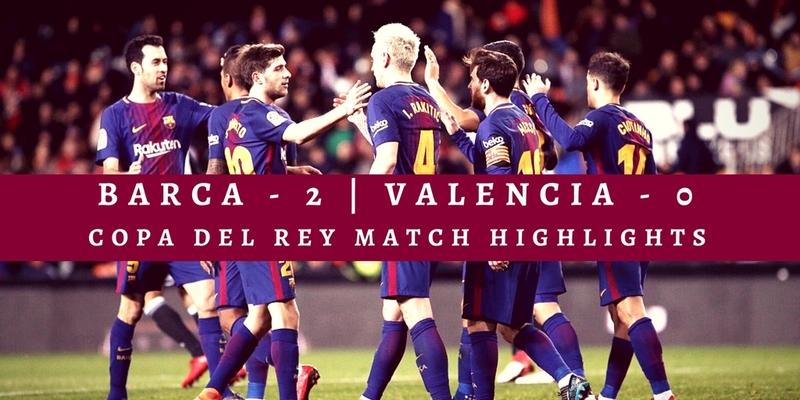 FC Barcelona sealed their spot in the final of this season's Copa Del Rey with a 2-0 win on the night against Valencia. Barca condemned Valencia to a six consecutive lose with an efficient display to take the tie on an aggregate score of 3-0 to the favour. Now Barca will be facing Sevilla on the 21st of April, 2018 in the final of Copa Del Rey. After a goalless first half, it was Barca's new signing Coutinho who opened the scoring within three minutes of his arrival as a substitute. Rakitic late in the match completed the scoreline. 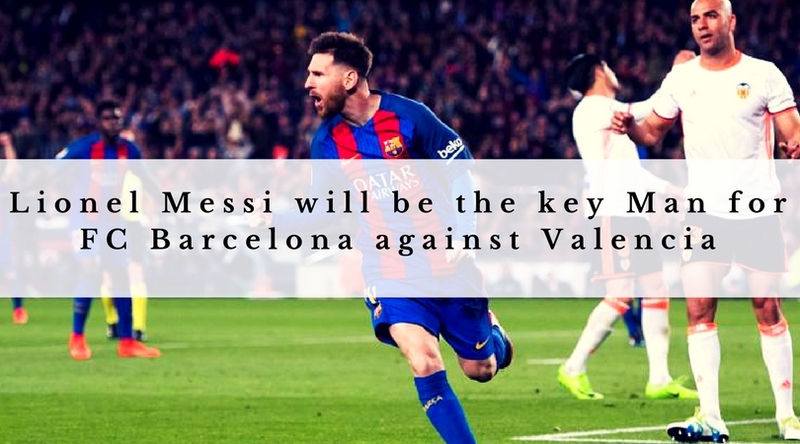 FC Barcelona would be looking for another efficient perfromance to take them past Valencia into the final of this year's Copa Del Rey Competition. B arcelona Football Club will be looking to book a place in the fifth consecutive Copa Del Rey final when they face Valencia at the Mestalla Stadium in Valencia tonight. FC Barcelona heads into the second leg with clear advantage of winning the first leg at the Camp Nou. Sevilla, last night booked their place in the final with an aggregate score of 3-1 against Real Madrid killer Leganés. Valverde announced an almost full strength squad to visit Mestalla; the only ones who are missing are Vermaelen and Dembélé due to injury and Denis Suárez and Lucas Digne who are actually left out. The situation with Denis is becoming a concern to me as he is not getting any time and club failed to loan him out also! FC Barcelona under Valverde created history last night for the best record of consecuitive unbeaten run from start in the League. FC Barcelona needed a late equalizer from Pique to continue the unbeaten streak. Watch the full highlights of the match below with english commentary from Ray Hudson, the legend himself! A late equaliser from Gerard Pique has helped FC Barcelona to continue their unbeaten run in the league. With this draw Valverde's Barca have created a new record for unbeaten run from start. 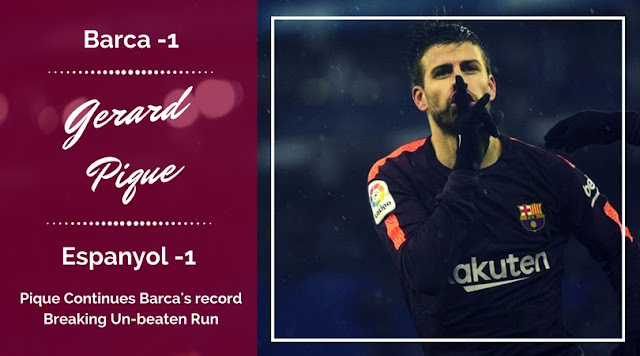 A late equaliser from the 'Controversy Man' Gerard Pique gave Barca a much valued draw; which actually tasted like a victory considering the backdrop to the game and the conditions the team have to encounter. There was much at stake when we approached the end of the game - at danger was the record and the perfect start to the league which have made. FC Barcelona had already equaled the best start to a League season and this was a chance to create a new history; and that was under threat. In a pitch which resembled a swimming pool at times, this game was completely poised against FC Barcelona. They could not play anything which resembles their style in this pitch and needed a 'Hero to Save the Day'. And in stepped Pique, who had been involved in every thing related to Espanyol recently, to save Barca's unbeaten run and silence the entire stadium. 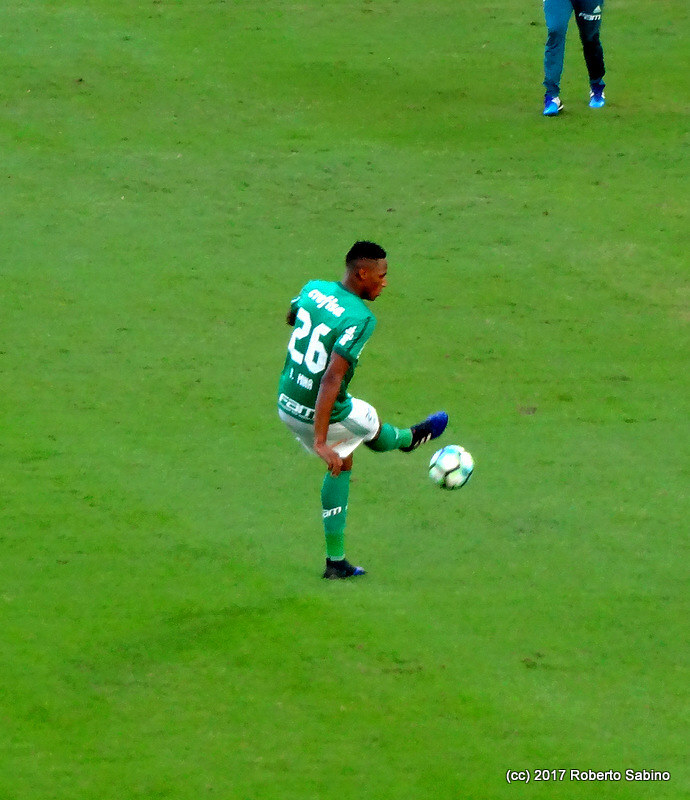 FC Barcelona’s January transfer window recruit Yerry Mina comes straight over to Spain from South America. At 23, he is still learning the game and there’s no better place to do that than the Camp Nou, but Mina must hit the ground running due to the departure of Javier Mascherano to China and cover being thin. As one of Argentina’s most capped players and because he won 17 trophies during his time in Catalonia, Mascherano leaves some big shoes to fill in the heart of the Barca backline. He is not the only La Liga great from South America that young Mina will want in time to emulate either. Do you remember these great central defenders from across the Atlantic playing in Spain?